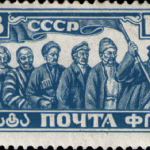 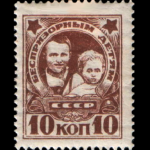 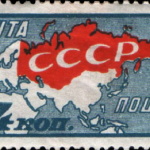 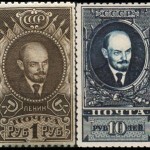 The history of Soviet Stamps reflected changes in economics, society and culture of the Soviet Union. 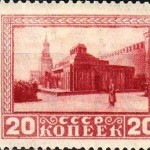 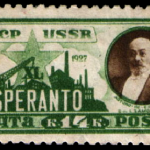 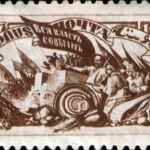 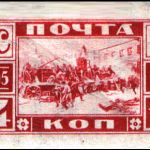 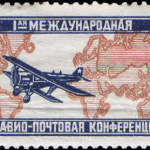 The First Soviet Stamps signed “Mail of the USSR”, which presented on all the stamps of the Soviet Union, were issued in August 1923. 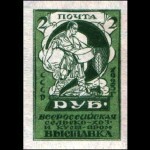 It was a series of four perforated and not perforated commemorative stamps on the opening of the first All-Russian agricultural and handicraft industrial exhibition. 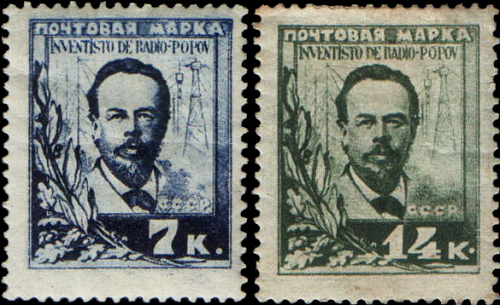 Sketches were made by artist G. Pashkov. 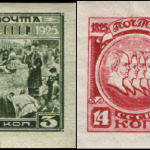 Thumbnail Plots were as follows: “Reaper”, “The Sower”, “Tractor” and “General view of the exhibition.” Stamps were sold only in large cities. 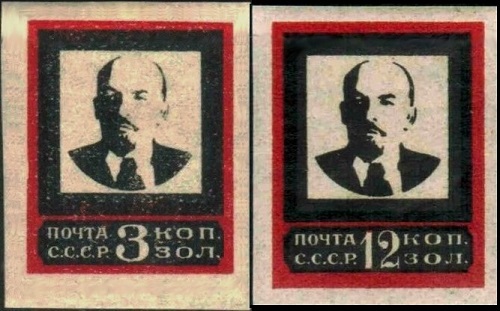 They were withdrawn from circulation 1 December 1923. 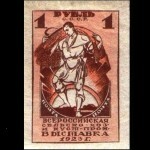 In connection with the transition to the gold standard in October 1923 – January 1924, the gold standard series of the USSR was issued. 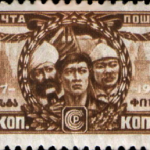 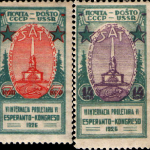 Denominations were specified in kopecks with gold, so the series is known among philatelists as “gold standard”. 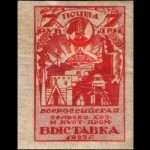 The first issue was printed lithographically on paper without watermarks and without perforated edges. 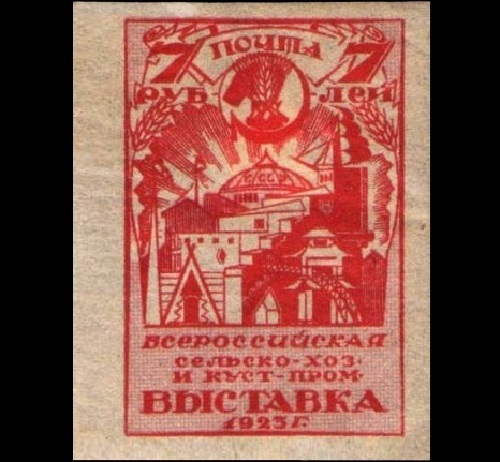 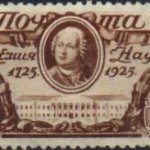 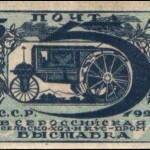 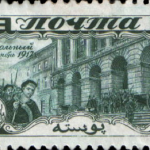 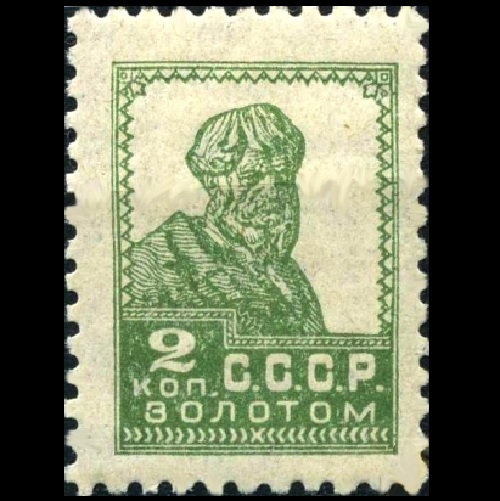 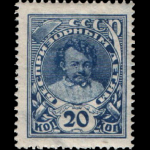 The series was reprinted several times – perforated and not, with a watermark, and without it, the stamp was printed in lithographic and printing methods. 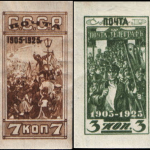 Total held 13 standard editions of the USSR. 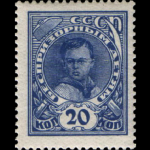 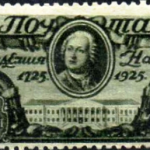 The first USSR definitive stamps were known as the Gold Standard. 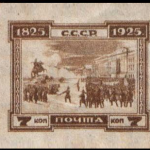 They were issued in October 1923. 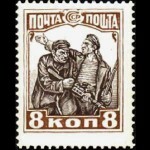 Their designer, Ivan Shadr created sketches of the worker, Red Army soldier and peasant.